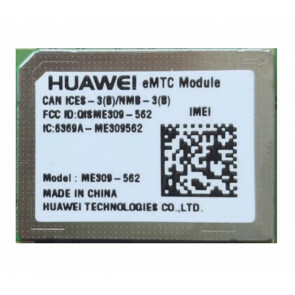 What is LTE Category M1 (LTE Cat-M / Cat.M / Cat eMTC)? 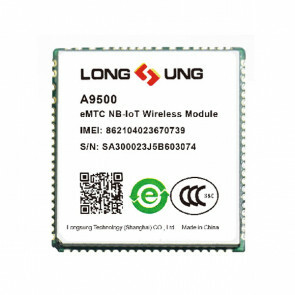 With development of LTE technology, Applications on the Internet of Things (IoT) tend to be very different from those that the LTE network was originally built for. 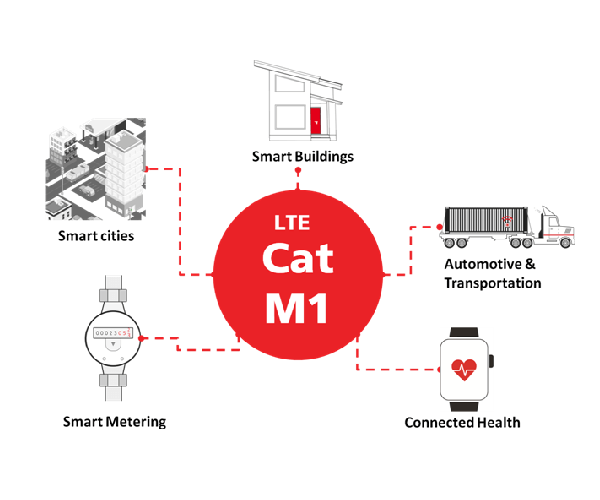 LTE Cat M1 (also named LTE CAT-M, or LTE-MTC) is a new low-power wide area (LPWA) cellular technology, specifically designed for the Internet of Things (IoT) and machine-to-machine (M2M) communications. 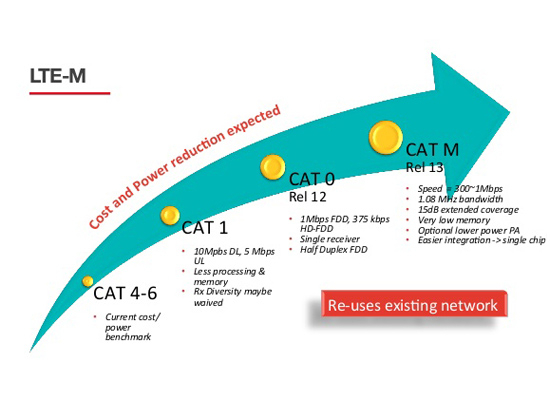 LTE Cat-M uses significantly less bandwidth, requiring total 1.4MHz bandwidth, and supports download & upload data speed less than 1Mbps. 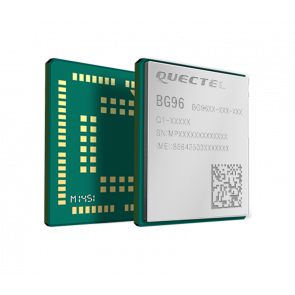 As typical LPWA cellular, LTE Cat M1 consumes much less power than LTE Cat.3 or Cat.4. 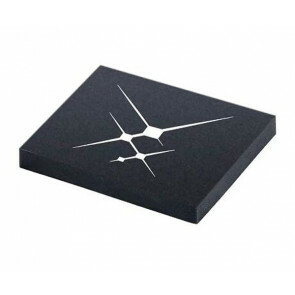 This allows battery lifetime as long as 10 years or more for a wide range of use cases, with the modem costs reduced to 20-25% of the current EGPRS modems. 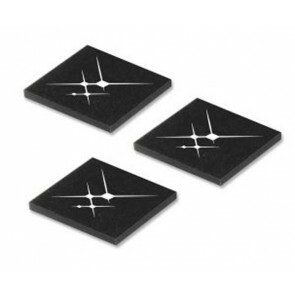 And LTE Cat-M provides better network coverage in buildings and underground. 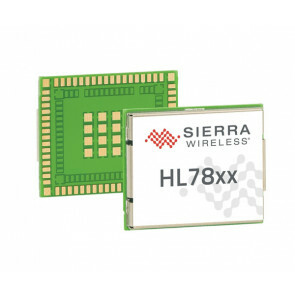 On this point, LTE CAT-M competes with other low-power connectivity options such as Wi-Fi, Bluetooth, ZigBee, and Zwave. 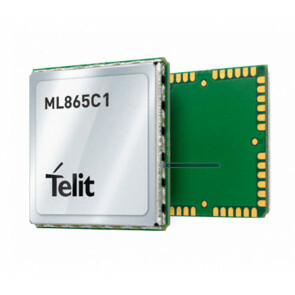 Unlike NB-IoT (Which operates using un-used spectrum or the guard bands), LTE CAT M1 operates existing LTE networks within the same LTE Band used for cellular applications and does not have any specific LTE Frequency bands assinged to it. 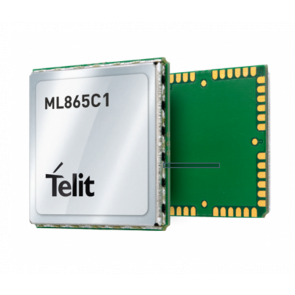 Supported by all major mobile equipment, chipset and module manufacturers, LTE-M networks will co-exist with 2G, 3G, and 4G mobile networks. 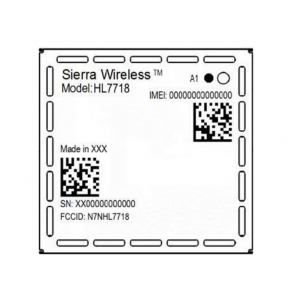 One of the advantages in this way is that it has the ability to handover from cell site to cell site, which makes it possible to use this technology in mobile applications. 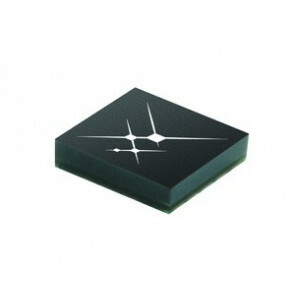 So that it benefits from all the security and privacy features of mobile networks. 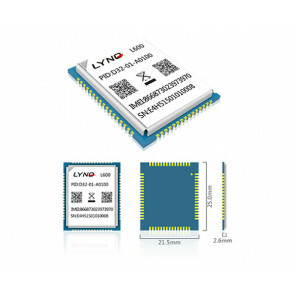 LTE CAT-M is part of the Third Generation Partnership Project (3GPP) LTE Release 13 Advanced Pro standard and is intended for narrowband LTE applications such as mobile healthcare applications and wearables that require a low power network with widespread coverage, such as support for user identity confidentiality, entity authentication, confidentiality, data integrity, and mobile equipment identification. 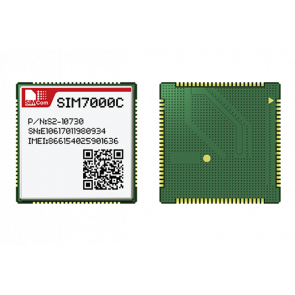 Below you can see the LTE Cat-M1 modules from the vendors: Huawei, Sierra Wireless, Longsung, SIMCOM, Skywork, Quectel, Pycom, Nimberlink, Mobiletek, MeiG, H3C, Fibocom, Gemalto, Digi XBee, Cheerzing, Telit etc..